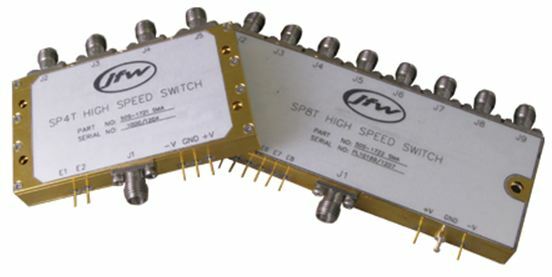 JFW’s newest Solid State RF Switches operate in the 0.5 to 18 GHz frequency range. They’re ideal for OEM and testing applications due to their compact, self-terminating design. Three models are available with varying insertion loss, VSWR, Isolation, switching speeds, and configurations. SMA female connectors and TTL control come standard, but custom configurations are available upon request.